KYIV, Ukraine—The staged assassination of a Russian journalist here hit the newsworthiness sweet spot for Western news editors, generating a tsunami of headlines that dwarfed the scant coverage usually given to Russia’s ongoing war in eastern Ukraine. 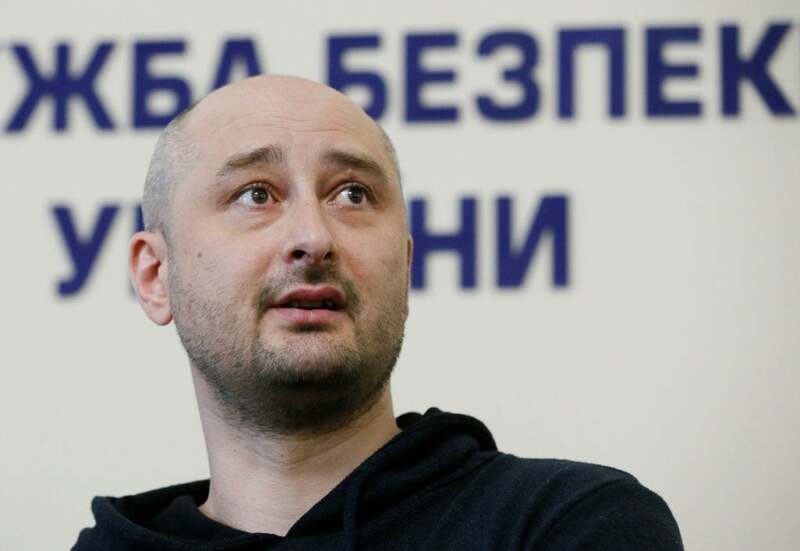 Ukrainian security officials said 41-year-old Arkady Babchenko had been shot in the back Tuesday at his apartment in Kyiv. His wife found the journalist in a pool of blood, and he died in the back of an ambulance, they said. But it was all a ruse meant to flush out a real assassination plot against Babchenko. 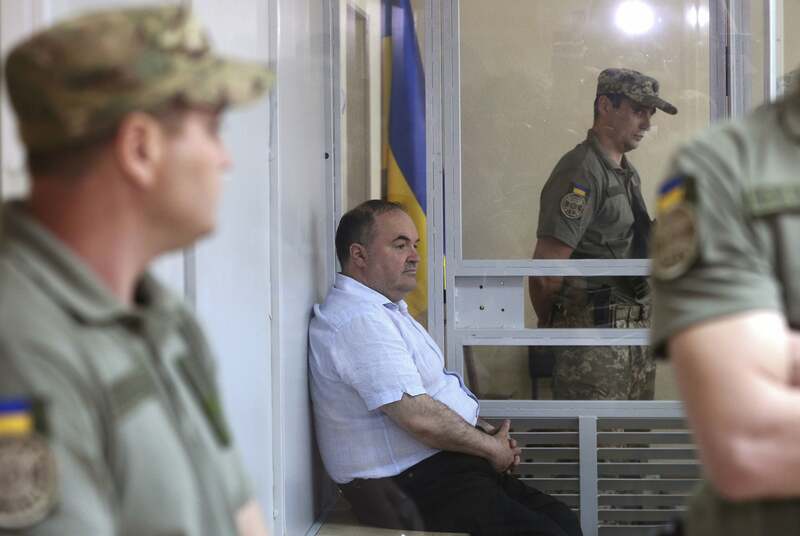 The Security Service of Ukraine, or SBU, said the staged death thwarted a real-life, would-be assassin from killing Babchenko to collect a $40,000 Russian bounty on his head. “The murder was staged, but the plot was not,” Ukrainian journalist Gosha Tykhyi told The Daily Signal. Babchenko—smiling and very much alive—appeared at a Wednesday press conference in Kyiv. And, according to Ukrainian officials, the suspected would-be assassin was in custody. Vasily Gritsak, head of the Security Service of Ukraine, told reporters that the arrest prevented dozens of other contract killings in Ukraine. The list of potential victims comprised roughly 30 names, Gritsak said. On Thursday, the spy novel-worthy story graced the front pages of scores of Western newspapers. CNN International led with the story in many of its programs Wednesday and Thursday. Babchenko reportedly donned makeup and used pig’s blood to complete the faking of his death. Still, the most unusual part of this story isn’t its sensational details—it’s the fact that you probably already knew about it before reading this article. Meanwhile, on May 28, a mortar fired from combined Russian-separatist positions in eastern Ukraine killed a 15-year-old girl named Daria Kazemirova. Daria died while playing in her grandmother’s courtyard in the Ukrainian-controlled village of Zalizne, in the embattled Donbas region. Daria’s death was not a hoax. And you probably didn’t know about it until now. “This reflects the general public perception in the West that the Donbas conflict is happening in a very distant area, about which very few have any knowledge. 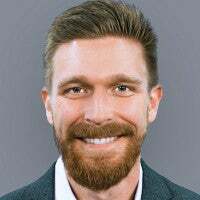 Hence there is a lack of empathy and interest to human interest stories, such as the lives of civilians,” said Alex Kokcharov, principal analyst for the financial services company IHS Markit on Europe and the Commonwealth of Independent States. “As somebody who spent a significant part of my childhood in the Donbas, I find it very sad,” Kokcharov told The Daily Signal. Russia continues to wage a proxy war in the region that has so far killed more than 10,300 Ukrainians and spurred 3.4 million people to seek humanitarian aid. Babchenko’s staged assassination generated the kind of Western media attention not generally afforded to the steady trickle of civilian and military deaths due to the conflict in eastern Ukraine—Europe’s only ongoing land war. With that disparity in mind, Kokcharov roundly criticized Western media coverage of the war. Babchenko, who left Russia to live in Ukraine, is famous among Ukrainians for his gritty war reporting and outspoken criticism of Russian President Vladimir Putin. 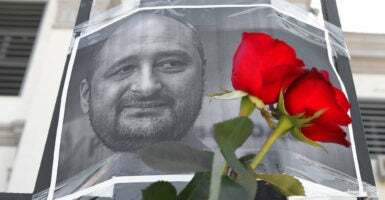 At the news of Babchenko’s “death” Tuesday, Ukrainians flooded social media with outpourings of condolence as well as vented anger that yet another of Putin’s critics—and a revered one, at that—had been killed in Kyiv. The Ukrainian government hailed the assassination ruse as a victory against Russian covert aggression. “I was proud today that I am the president of such a nation,” Poroshenko said Wednesday. However, many Western media pundits and journalism advocacy groups criticized the Ukrainian sting. Some Western voices also claimed the Ukrainian sting gives Moscow a public relations victory. Another line of thinking is that the operation undermines already shaky public faith in the credibility of journalism institutions worldwide. Yet, some in Ukraine responded to the backlash with their own pointed criticisms about how Western media agencies cover Ukraine—especially when it comes to the ongoing war and Russian aggression. “Many international media have very skewed reporting of the region,” IHS Markit’s Kokcharov said. I think many [Western] commentators got uneasy with the operation and were quick to … condemn Ukraine for spreading fake news because of a fundamental gap of realities. Ukraine’s reality for the fifth consecutive year is war. Four years of weekly deaths of military and civilians at the front line, and—in the last two years—a wave of assassinations far beyond the front line. Still, reactions to the staged killing were mixed among Ukrainian journalists, too. Some strongly opposed the operation, saying it would damage Ukraine’s credibility on the world stage, as well as hurt Ukrainians’ faith in their own governmental institutions. “Naturally, I am mad and disappointed,” Vladislav Davidzon, chief editor of The Odessa Review, a Ukrainian cultural magazine, told the Atlantic Council. This stunt makes everyone involved look bad and further damages the media as an institution. Ukraine’s one cardinal advantage in this whole conflict is supposed to be its virtue and honorable position, and the outcome of this incident will be solely to sink the credibility of the Ukrainian state and undermine its capacity to frame any narrative. For years, Russia has conducted a shadow war of assassinations, sabotage, and espionage tradecraft as part of its ongoing hybrid conflict against Ukraine. Since 2015, at least nine successful, brazen assassinations have occured in Ukraine outside the eastern war zone—most of which occurred in broad daylight in Kyiv. Among the dead: Ukrainian security officers, prominent war veterans, a Chechen combat medic, journalists, and a Russian parliamentarian who had defected to Ukraine. “One thing is common—they were all either former or current critics of the Kremlin or Russia’s adversaries,” Tykhyi said. “Babchenko’s story must sober European and all Western governments from illusions that it’s possible to deal with Putin’s Russia,” said Viktor Kovalenko, a Ukrainian army combat veteran from the conflict in the Donbas who formerly worked as a journalist in Ukraine. For his part, Babchenko took to Facebook on Thursday, questioning how his critics would act in a similar situation with their family’s safety on the line. “Let them show commitment to their high morals and die with their head held high, without deceiving the media,” Babchenko wrote. Later Thursday, he defended his actions at a press conference in Kyiv. Please, those journalists who believe that I crossed the red line: When they come to you and show you your photograph and the photograph of your murder organizer, and … ask you, ‘Dude, do you want to survive or do you want to preserve the ethics, morals, cleanliness, and spirit of your profession?’ Well, you are welcome to preserve the ethics and moral cleanliness of your profession. I choose to survive.